It’s nearing dinner time and you do not want to make what was on your meal plan. Either the kids had a fussy day, or you had a last minute playdate, or whatever. You need to keep some kitchen staples on hand for nights like these! I am a meal planner. Every Friday, I sit down with my meal planner notebook and I plan. But I’m also a realist. 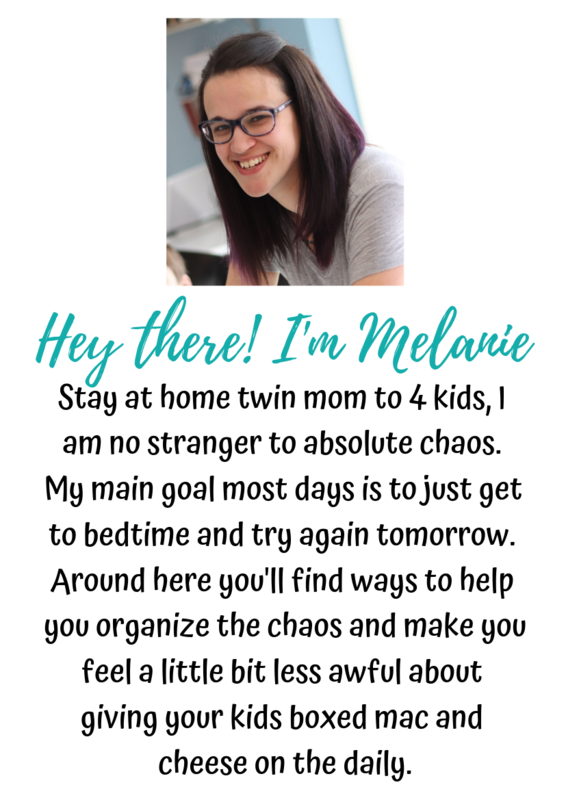 I know that sometimes play dates go longer than expected or you have a super fussy baby and don’t get a chance to prep dinner. That’s why I have a list of kitchen staples that I always have on hand. Sometimes I pull from this list when I’m meal planning and sometimes I fall back on this list when my actual plan doesn’t go as scheduled. What is a kitchen staple? A kitchen staple, for me, is a meal that I can grab quickly from the pantry, freezer or fridge. It’s something that is easier than making a call for delivery! Something that I can make with a fussy baby on my hip or a sick or tired kiddo who needs all my attention. They’re things that, in my opinion, every kitchen needs to have! When I’m running low, I toss them onto my grocery list to make sure that they get replenished for the next grocery order. Why do I need kitchen staples? 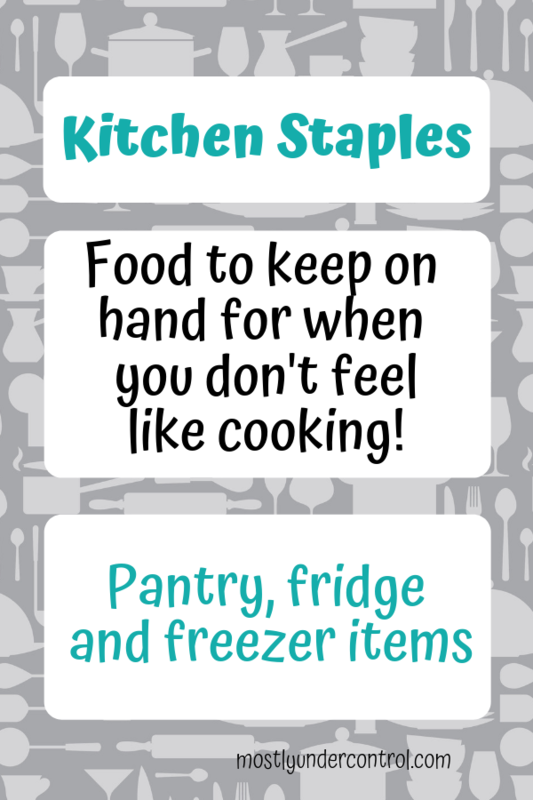 Kitchen staples are needed for many reasons! You’re running late home from work, your play date ran long so you’re home later than usual. You need something quick because you’re just not craving what you had originally planned. Or even your planned dinner isn’t going to happen because your fussy kiddo wouldn’t let you prep during the day. Before I get into my lists, I have to make a disclaimer. We are NOT a healthy living family. By any means. So if you are a healthy eater, this list will have to be modified a little bit for you.